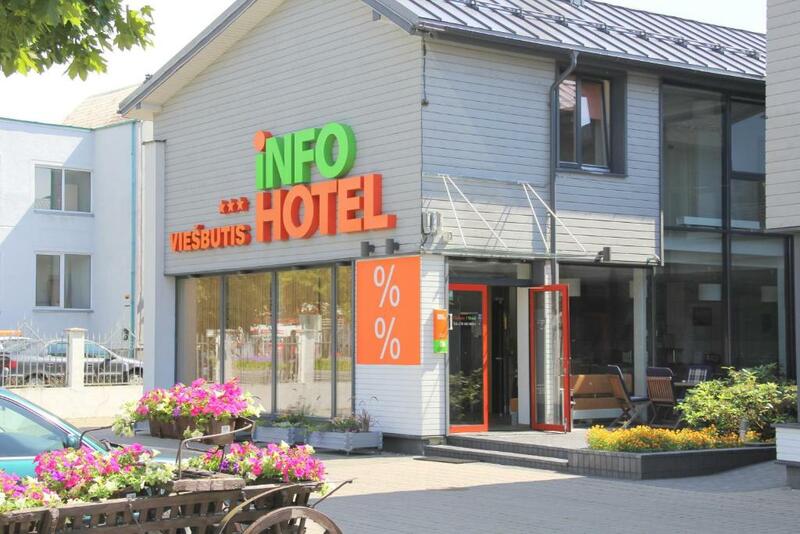 Lock in a great price for Info Hotel – rated 8.8 by recent guests! Welcoming reception and late check in - all perfect. The rooms are very comfortable. The bathroom is large with a very nice shower. It is small and peaceful hotel. Double bed was comfy and there was electric fan in the room. Nothing can beat price/quality for this hotel. Breakfast basic but very personal. Personnel extremely quick for answers on our e-mails before stay - really nice surprise! Very, very polite and helpful stuff at hotel - everybody starting room maids, breakfast and reception. Free parking on site, but it can be quite full. Free WiFi (good signal) Pet friendly hotel - for a very small addition you can come with your pet. 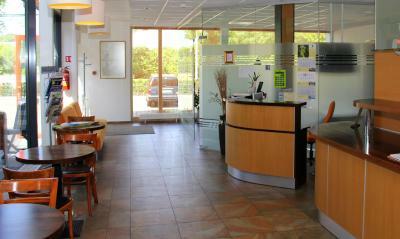 It was well located from Palanga airport and within easy reach of the town centre. Palanga has a beautiful beach and pier. The hotel is also within two minutes walk from the station which was ideal for me. Staff very pleasant and fluent in English. Very spacious room and bathroom. Freshly brewed filter coffee. 20-min walk from the beach and pier and only 3 min away from the main bus station and shopping mall. Info Hotel This rating is a reflection of how the property compares to the industry standard when it comes to price, facilities and services available. It's based on a self-evaluation by the property. Use this rating to help choose your stay! This 3-star hotel enjoys a convenient location only a 5-minute walk from the city center of Palanga with its popular J.Basanavičiaus promenade. The hotel is 2.5 mi from the airport. 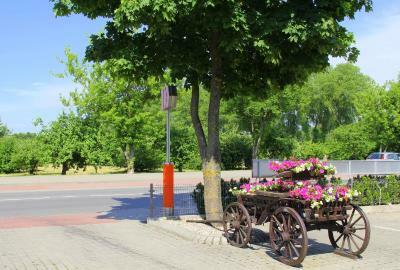 A tourist information center is 1,650 feet away and the Palanga Bus Station is 500 feet away from the hotel. Opened in 2007, the cozy and comfortable Info Hotel offers all modern amenities for a relaxing stay, including free internet access. During the day and in the evening you can relax at the bar in a hotel’s hall and enjoy a wide range of drinks. A free private parking is available. Info Hotel also features a safe parking lot for motorcycles. 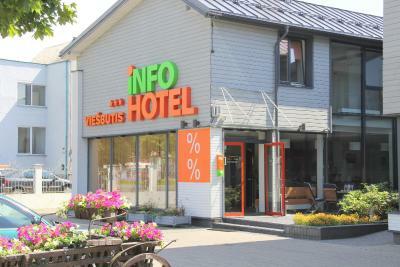 When would you like to stay at Info Hotel? 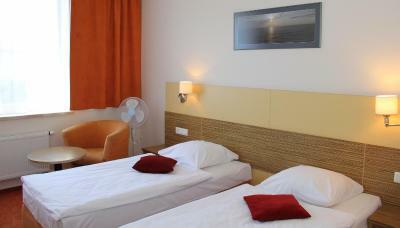 Spacious and stylish room has a flat-screen TV with USB port and cable channels, free Wi-Fi and parking space. The 2 beds can also be placed together. The sofa can be converted into an additional bed. Spacious room with bigger shower and 2 extra beds to accommodate a family of 3 or 4 people. House Rules Info Hotel takes special requests – add in the next step! Info Hotel accepts these cards and reserves the right to temporarily hold an amount prior to arrival. The Economy Apartment (3 Adults) and the Economy Apartment (4 adults) are located in a separate building. Very small beds,to tiny,I asked for smokers room however I got non smoker room. If there is no room where smoking is allowed than it should not be asked whether the room Is desired as smoking or non smoking. It is frustrating. Wifi was laggy sometimes and the towels were a little dirty. Shower very nice. Bed and and pillows verry good. 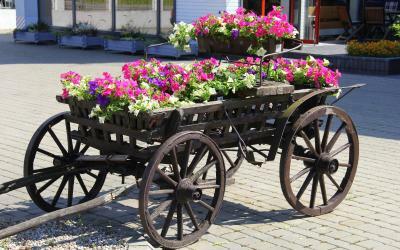 Hotel is located about 2 km from the beach, about 1.5 km from city centre, about 3 km from Palanga botanical garden. Good side is that neighbourhood is very quite, but it takes a while to get to major attractions. Nice places to eat are also a bit away. Very small family room. Stains on the carpet. Sofa-bed as discribed on web page was actualy single bed. No bath only shower in a family room,not realy usuful for families with small kids. There was tea packs in the room,but no sugar or milk. No A/C in rooms - might be a problem in hot months. Wish all the rooms were on the first floor or that they had an elevator. I always request a first floor room.